Multilayer networks provide a useful way to capture and model multiple relationships among objects. In this talk, I will introduce a community detection procedure that identifies densely connected vertex-layer sets in multilayer networks with heterogeneous community structure. A local modularity score is used to assess the significance of extracted communities. I will explore the utility of Multilayer Extraction through studies on social, transportation, and co-authorship multilayer networks. Furthermore, I will discuss the statistical properties of Multilayer Extraction and show consistency of identified communities in both the large graph and large number of layer regimes under the multilayer stochastic block model. James Wilson is an Assistant Professor of Statistics and Data Science at the University of San Francisco. He serves as the co-Director of the Data Science Program and Associate Director of Research at the Data Institute. 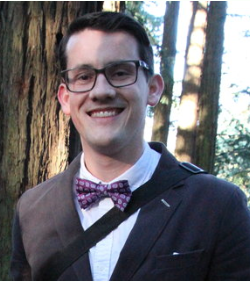 He works closely with companies in the Bay Area to solve exciting data science and network analysis problems. This year he is excited to be working with analytics members at the Houston Astros, Xoom, Zipcar, and Bracket Voodoo. His research focuses on the development, analysis and application of computational methods for complex network data. His work relies on applying statistical principles from random graph theory to enable inference on various families of networks, including multilayer, dynamic and weighted networks. He works on network problems in a variety of application areas, including functional brain imaging, political voting trends, and labor market competition. Through his work, James seeks to understand the interplay of statistical inference, machine learning, and network analysis.